David is the founding Principal of Kensington Aldridge Academy. He was appointed in March 2013 and took up his post in September that year. Over the last five years he has led the development, set-up and expansion of KAA to this point. Prior to this role David worked for ARK schools, one the UK’s leading academy chains, for 8 years. He worked first at Burlington Danes Academy (BDA), a turnaround school, and then Ark Academy in Wembley, a start-up which – just like KAA – opened in new buildings with initially just Year 7. At BDA David was part of the team who, under Dame Sally Coates’ leadership, turned the school around and raised results from 35% 5 A*-C at GCSE (inc. EN & MA) in the year he joined to 75% in the year he left, making BDA was one of the fastest improving schools in the UK. In 2009 he was promoted within ARK to be a founding Vice Principal at Ark Academy. Along with Delia Smith OBE, the Principal, David led the planning, set-up and expansion of Ark, which Ofsted judged as “outstanding” in September 2010. David has co-authored a book about the leadership and management of teaching & learning and assessment, ‘Creating Outstanding Classrooms’ (Routledge 2013), and edited a set of case studies about opening a new school (http://www.arkacademy.org/2012-casestudies). In 2017 he was named by TES as one of the 10 most influential people in education (https://www.tes.com/news/tes-magazine/tes-magazine/10-most-influential-people-education-2017) and the Evening Standard have listed David as one of the key “Change Makers” in London in 2018 (https://www.standard.co.uk/news/the1000/the-progress-1000-londons-most-influential-people-2018-the-changemakers-a3956601.html). He studied Politics at Cambridge University and graduated with a first class degree. Anna graduated from the University of Sheffield with a BSc (Hons) in Maths & Philosophy. She joined KAA as Vice Principal for Assessment & Curriculum in April 2014. Prior to working at KAA, Anna was Assistant Headteacher at Blessed Thomas Holford Catholic College (BTHCC), an 11-18 school in South Manchester. Throughout her career Anna has been passionate about developing innovative approaches to teaching and learning within Maths. In conjunction with the National Centre for Excellence in Teaching Mathematics and Mathematics in Education and Industry she developed new approaches to teaching the subject which have now been shared widely with other schools. 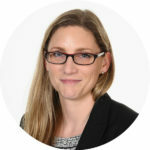 She has supported many schools in the development of their Mathematics curriculum and teaching through her work within the SSAT and PiXL networks. Rob received a first-class degree in Classics & Modern Languages from Oxford University, before completing seven years in the British Army, rising to the rank of Major. He then left the army to train as a teacher at Kings College London. Rob joined KAA as Vice Principal in charge of Sixth Form in January 2016 and led on the set up of KAA’s outstanding Sixth Form. Before this, Rob held a number of leadership positions – for example Head of Modern Languages at Lancing College and Head of Sixth Form at Magdalen College School (MCS), Oxford. Rob has therefore seen, first hand, how the very top independent schools in the UK operate, and has detailed knowledge of what students need to do to secure top grades at A-Level and progress to Russell Group universities. Badsha received a BA (Hons) degree in History & Politics from Kingston University. He then completed his PGCE in History at the University of Birmingham. Badsha was appointed as Assistant Principal at KAA in March 2014 and took up this post in June 2014. Before joining KAA he was Assistant Director of Learning at Bishop Douglass Science School. He was appointed there when it was under performing and was part of the leadership team that led the school to become a ‘Most Improved’ schools with the progress achieved by students in the top 10% in the country. Badsha has worked in various roles including Lead Teacher of History, Highly Able Coordinator, Director of Studies and Key Stage 4 Coordinator. Jamie studied English Literature at the University of York before training with Teach First. He then completed a Masters degree in Education and Leadership at the University of Manchester. 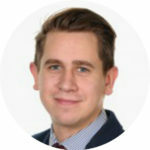 Jamie was Second in Charge of English at Walthamstow Academy and Key Stage 5 coordinator at City of London School before joining KAA in April 2016 as Director of English. Jamie was promoted to Assistant Principal for Teaching and Learning in September 2018. Katy completed her BSc (Hons) in Environmental Biology at the University of Nottingham. She then trained as a teacher with Teach First before graduating with a Master’s degree in Education Management from Kings College London. Before joining KAA, Katy worked at Ark Academy and Rosendale College, both rated Outstanding by Ofsted. Katy joined KAA in August 2014 as Second in Charge of Science. In September 2015 she took up the role of Director of Learning for our founder cohort of students. 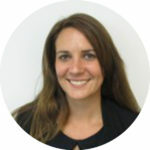 She was appointed Assistant Principal in February 2017 and took up this post in June 2017. As well as her interest in biology and education, Katy is a keen Girl Guide leader. Niall studied a BA (Hons) in Music at Oxford University before completing a PGCE in Music at Canterbury Christ Church. Prior to joining KAA, Niall was the Lead Teacher for Behaviour at John F Kennedy School, a Special Needs Academy in East London. Niall joined KAA in August 2014 as Lead Teacher of Learning Support, he was promoted to SENCO in September 2016. Niall was appointed to an interim role as Assistant Principal for Inclusion in response to the fire at Grenfell Tower in June 2017. Niall’s experience in SEN, school inclusions, adolescent mental health and safeguarding help him to lead our therapeutic and counselling work. 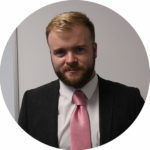 Toby studied Music Performance and Music Technology at the University of Sunderland before completing his PGCE in Music at the Institute of Education. Before joining KAA Toby was a Teacher of Music at Coombe Boys School. He joined KAA in August 2014 as Lead Teacher of Music. 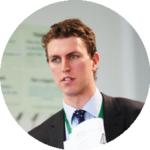 In September 2016 Toby took up the role of Director of Learning for Year 12, assisting in leading KAA’s founder sixth formers to an excellent set of results in the academy’s first national examinations. He was appointed Assistant Principal in February 2017 and took up the role in June 2017. Ryan graduated from the University of East London with a BSc (Hons) in Sports Coaching. 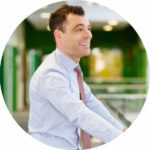 He then completed his PGCE in Physcial Education at Middlesex University and a Master’s degree in Teaching & Learning at the Institute of Education. Before joining KAA, Ryan was Head of Boys PE at Phoenix Academy, an 11 – 19 school in Shepherds Bush, London. He joined KAA in August 2014 as Lead Teacher of PE. 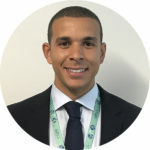 Since joining the academy he has founded a dynamic PE department, led Pankhurst as Head of House for 2 years, and been Director of Learning for Year 7. He was appointed Assistant Principal in February 2017 and took up the post in June 2017. 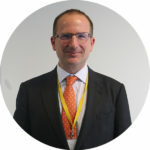 Appointed as Finance Director in January 2019, Laurence had previously spent 5 years as Bursar and Clerk to the Governors at Archbishop Tenison’s School in Lambeth. After completing a History degree Laurence qualified as a Chartered Accountant at BDO Binder Hamlyn in 1991. Before going into education he held a range of financial management positions in organisations including housing associations, the BBC, the National Criminal Intelligence Service and HM Treasury. Away from work Laurence was a voluntary board member of a major housing association for many years. He is a very keen cricketer and although now very much a veteran still plays occasionally. He was secretary of the Essex County Cricket League for 7 years. He is also interested in football, politics and reading novels.